Underage Drinking Representation | Polinske & Associates, P.C. 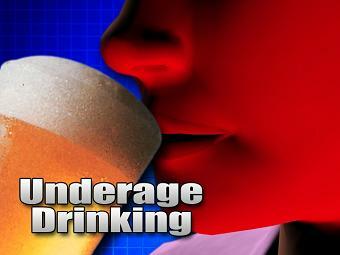 Underage Drinking Representation—Keep Your Driver's License! Its Saturday night. You are at a friend's house. A lot of people show up for the party. A couple of people bring beer or liquor. You have a beer or two. You leave party and are stopped by a police officer. He makes you submit to a Portable Breath Tester. You blow and the results are over .00. You now are facing a six or three month suspension of your driving privileges. Even though you weren't driving at the time the PBT was administered. What are you going to do? You have to keep your driving privileges or you will lose your job, won't be able to get to college to attend classes, and it will be a negative impact on your life in general. If you take care of the case properly you can prevent loss of license in many instances. Illinois law requires suspension of your driver's license either if you are convicted or sentenced to court supervision on an underage possession or consumption charge. There are two separate sets of ways your license can be suspended. Zero Tolerance is similar to a DUI process. The second manner is by pleading guilty to Minor Consuption of Alcohol or Minor Possession of Alcohol. Zero Tolerance. If you refuse to submit to the PBT or BAC you are subjected to a six (6) month suspension. If you submit you will incur a three (3) month suspension if the officer pursues a Zero Tolerance action against you. A second offense results in 24 months for refusal and 12 months for breath submission over .00. So the consenquences for Zero Tolerance Actions are significant. Minor Consumptin/Possession of Alcohol. Any person under 21 who is convicted of this charge has their license suspended for 6 months for a first offense. For a second offense a 12 month suspension period occurs. If the person receives court supervision as a disposition for this offense the suspension periods are altered to 3 months. Many Illinois counties have available programs that defer prosecution. This means, when a recommended program is completed the case is dismissed. Neither a conviction nor supervision would be imposed. Therefore, the client's license is not suspended.